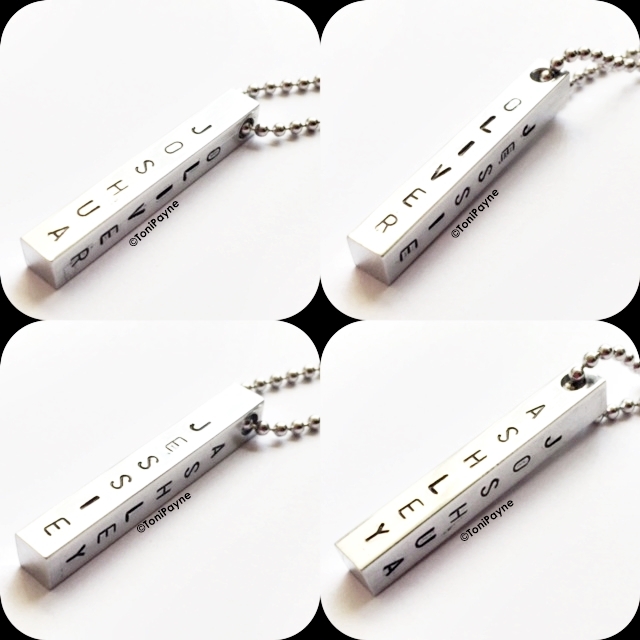 The Personalized Hand Stamped Bar Necklace, 4 Sided Bar Pendant Custom Names features a 4 sides panel to write any name or message on. This necklace is great for parents, grand parents, best friends, siblings and anyone who wants to carry around a meaningful message on their necklace. You can customize dates of births, names, initials, nicknames and more. You can customize all 4 sides up to 8 characters per side.